Wolfram|Alpha is an increasingly popular online computational knowledge engine on the web, accessible at WolframAlpha.com. Recently, a NYTimes report showed that Apple's Siri voice assistant for the iPhone 4S constitutes about 25% of all Wolfram|Alpha queries. For those who don't know: Basically, W|A is a huge algorithm/software that runs on supercomputers. 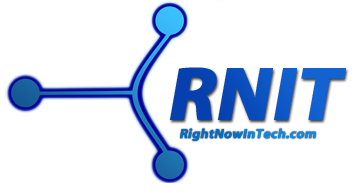 Users can enter queries related to various fields of knowledge and receive analytical data, results, calculations, diagrams etc. 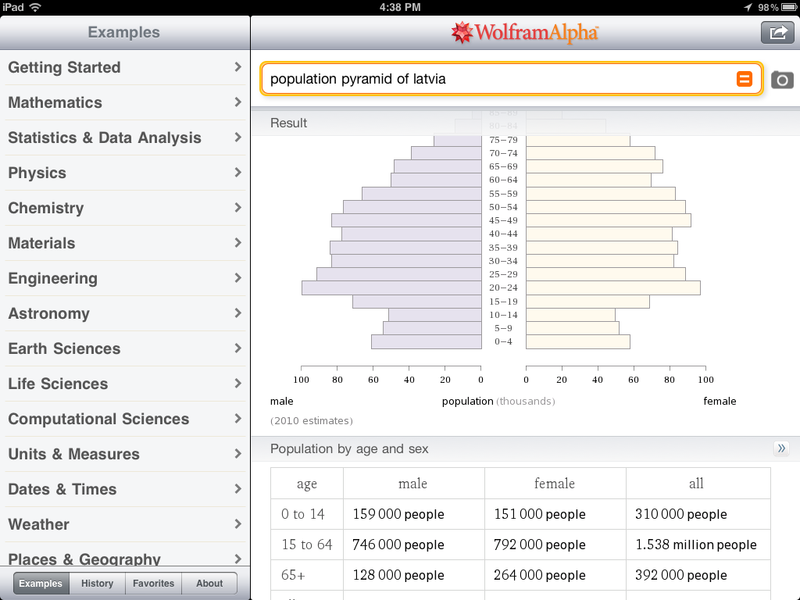 You can use Wolfram|Alpha for simple calculations to finding detailed demographic data for Guinea-Bissau. Here, I review the official W|A app for iPad, available on the US iTunes App Store for $2.99, for those who are reluctant to throw those three bucks towards the amazing, ever-in-progress project. The Wolfram|Alpha website works perfectly in Safari in iOS. The only downside is that it occasionally suggests you to check out the official app on the App Store. If you're okay with it, keep using it. 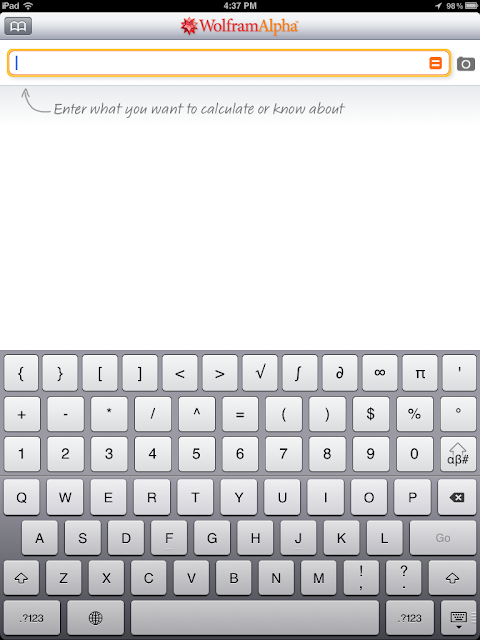 The uber-modified keyboard: When you download the W|A app and start using it, you will quickly notice that the usual iOS keyboard does not remain the same when you type into the query bar. There is a cleverly designed add-on keyboard section that shows up above the normal keyboard. 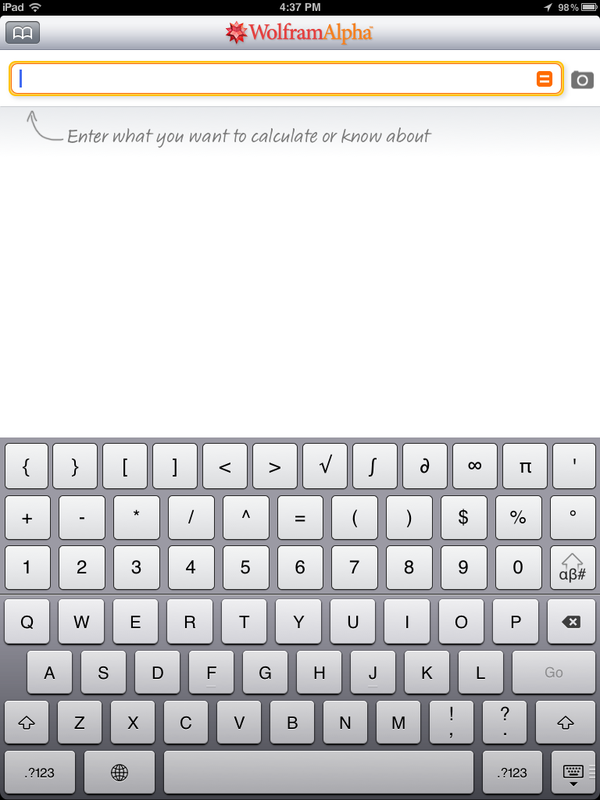 Because the app is geared towards people who will be entering lots of numbers and other mathematical symbols, there is a new section of the keyboard that lets you enter anything from the theta symbol to a summation symbol or an integral sign. You cannot do this easily in the desktop website if you view it in Safari. Clean interface that "just works": I actually am not a huge fan of the interface on this app. Let's face it, it isn't the prettiest app that you'll find on the App Store by any means. However, some elements may not always render perfectly on the website. Some things will jumble up occasionally or photos will be a bit blurry when you zoom into the website. But the native app will always display everything you want to see in an efficient way. It will never mess up and you'll never need to zoom in. 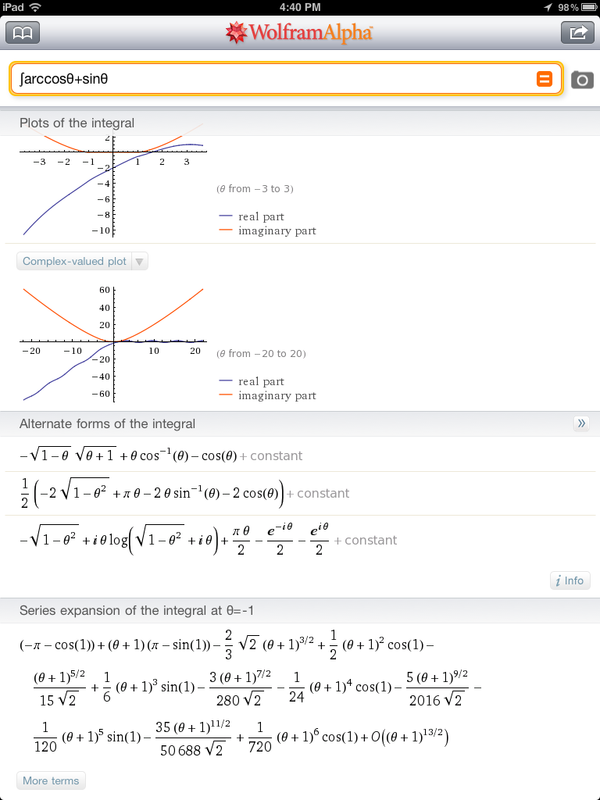 Moreover, Wolfram|Alpha seems to be putting on a little weight with its paid features anyway, so the website is getting more and more bulkier with time. Supporting an awesome company: Wolfram|Alpha is going to be always in development. While the Wolfram Research Company has some expensive products, I feel that purchasing their cheap iOS app is also a great way to show them some support. Who will found Wolfram|Alpha useful? 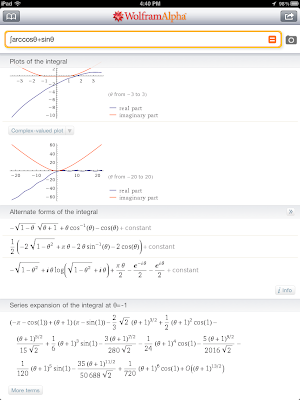 If you are not familiar with Wolfram|Alpha, check out this page to see what the web app can do. I would say that the iPad app will be useful if you are a student, teacher or a professional that deals with mathematics and science in any way. Do you find yourself looking up ideal weights, BMI, enthalpies for organic compounds, emissivity, vector lengths, derivatives or other stuff like that? Wofram|Alpha is for you. At the time of writing this, I am a high school senior who recently studied calculus and statistics. I found it indispensable.